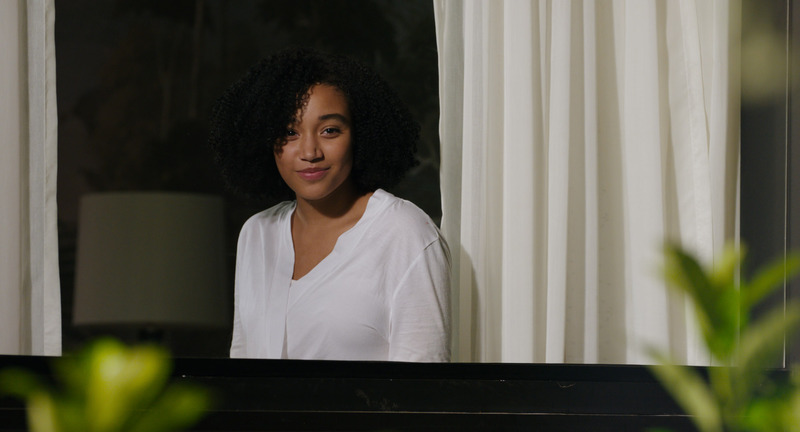 We've got an exclusive look at one of the sweetest scenes from "Everything, Everything"
You know how the story goes: Boy meets girl, girl has an immune deficiency and can’t leave the house, boy and girl figure out a way to fall in love anyway. This world of her’s is turned upside down when a very cute boy moves in next door, and the two start communicating anyway they can — whether it be by text, email, messages on the window, or bundt cake. This is exactly the kind of movie that will make you fall head-over-heels in love with it (and in love with the boy-next-door, Olly ). But, if you need a little more coaxing to head to the theaters this weekend, HelloGiggles has a sneak-peek at one of the most heartfelt scenes from the movie. No spoilers, promise! But here we have Maddy’s telling her mom about her first IRL meeting with Olly. Maddy can’t help but gush over him, and TBH, we’re absolutely smitten with him, too. Everything, Everything is playing in theaters right now nationwide. And, if you’re headed there this weekend, be sure to bring some tissues. Trust us.